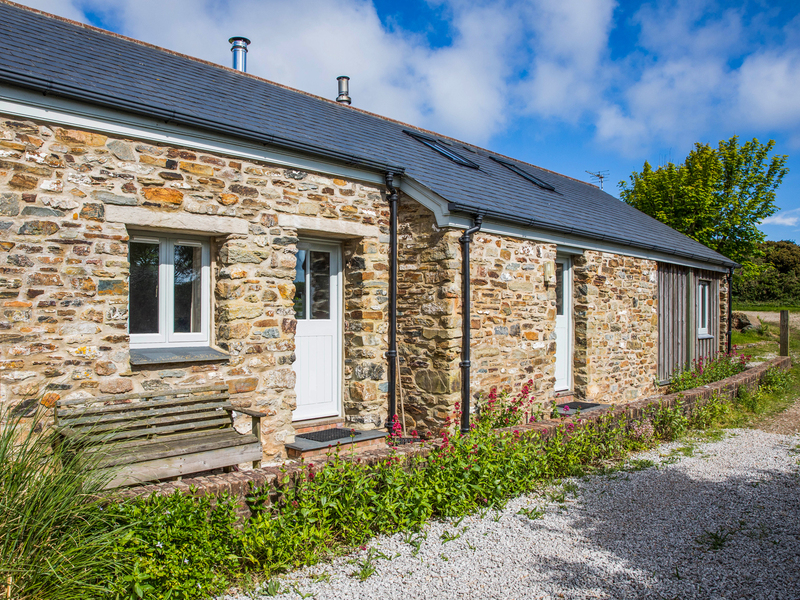 Oreo's Cottage is a welcoming and stylish farm cottage in the Cornish village of St Agnes. It offers two bedrooms, a double with en-suite shower room and a twin (with additional pull out bed for a younger child), along with a family bathroom. The property can sleep up to five people. It also comes with a sitting room with dining area and woodburning stove, as well as a smart kitchen. To the outside there is off road parking for two cars and an enclosed garden with furniture. Oreo's Cottage is a lovely property placed perfectly for exploring this popular part of Cornwall. Oil central heating. Electric oven and hob, microwave, fridge, freezer, washing machine, tumble dryer, TV with Freeview, DVD, Sky, WiFi. Fuel and power inc. in rent. Bed linen and towels inc. in rent. Cot and highchair available. Freezer and tumble dryer available in outbuilding nearby. Off road parking for 2 cars. Enclosed garden, with patio, smallish lawn, furniture and BBQ. Two well behaved dogs welcome, must be good with other dogs and livestock. Sorry, no smoking. Shop and pub 5 minutes walk. Beach 20 mins walk.